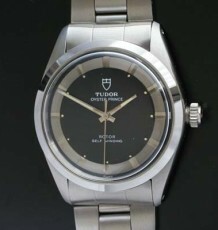 Rolex Oyster Perpetual Date ref 1500 dating to 1970. 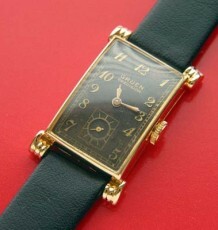 This uses the Chronometer rated calibre 1570 movement. Comes with Rolex strap and buckle. 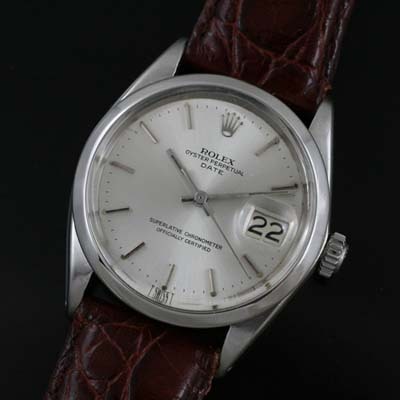 This vintage Rolex Oyster Perpetual Date features all of the classic attributes that buyers are looking for in a Rolex watch. The all stainless steel Rolex Oyster case is in excellent condition and is fitted with a genuine Rolex Oyster crown. The watch is fitted with the Chronometer rated Rolex automatic calibre 1570 movement which was just serviced and is keeping excellent time. 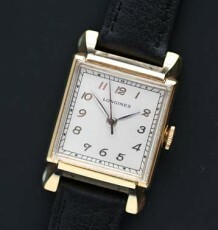 The movement has a non-quickset date display function. The all original silver dial is in mint condition and uses silver stick markers and hands. The watch is supplied on a genuine Rolex burgundy leather strap and steel buckle. 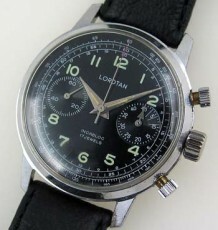 The watch measures 34 mm wide excluding the crown and 42 mm long lug tip to lug tip.